This month, K2 is introducing a new technology with a new ski called the Mod X -- a ski like no other K2 you&apos;ve seen before. Short for Modular Suspension System, Mod is designed to absorb the impact from things like uneven crud by using two cores (most skis just have one). A narrow core layered on top of a regular core results in a ski with a 3-D ridge running from tip to tail. When the ski flexes, the two cores act independently. The top core cushions the skier from rough terrain, K2 says, much like the suspension system in your Porsche 911. The Mod X also has the company&apos;s signature Smart Ski technology -- you know, the piezoelectric thingamabob that lights up -- which reduces vibrations such as high-speed chattering. Think Porsche shock absorbers, say Mod engineers. 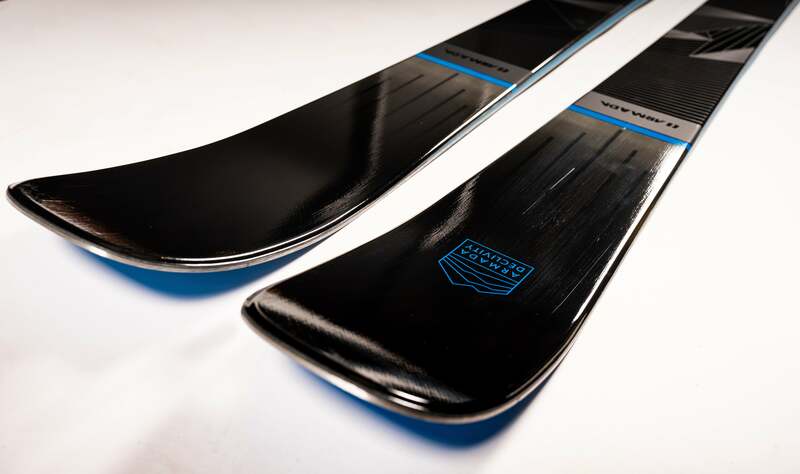 The Mod X ($695) is an expert ski designed for the whole mountain. It&apos;s wide underfoot (70 mm) for stability in gunky off-piste conditions, and it&apos;s got plenty of sidecut for arcing turns on hard groomed snow.